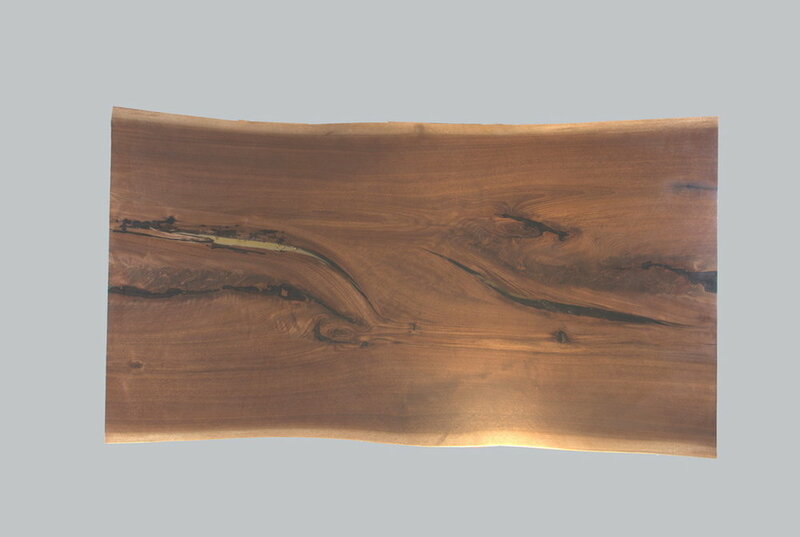 Common in the work of Live Edge pioneer George Nakashima, butterfly joints are used to hold two or more wood boards together or to stabilize a knothole, usually done in a contrasting wood for aesthetic purposes. 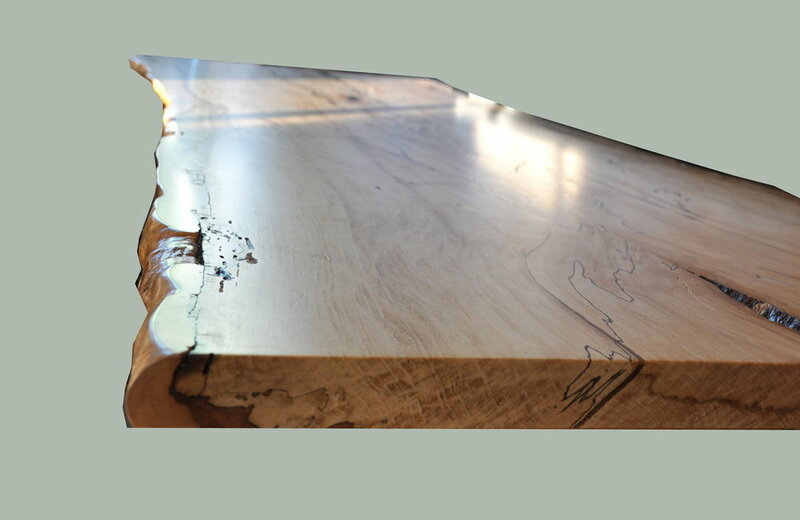 The finish on our live edge tops is hard to beat! Each slab is kiln dried and machine-flattened for a stable, uniform surface, and are sealed with our signature Marine Oil Finish. This water and stain-proof finish is the most durable in the industry, and is formulated to withstand years of use with minimal maintenance. 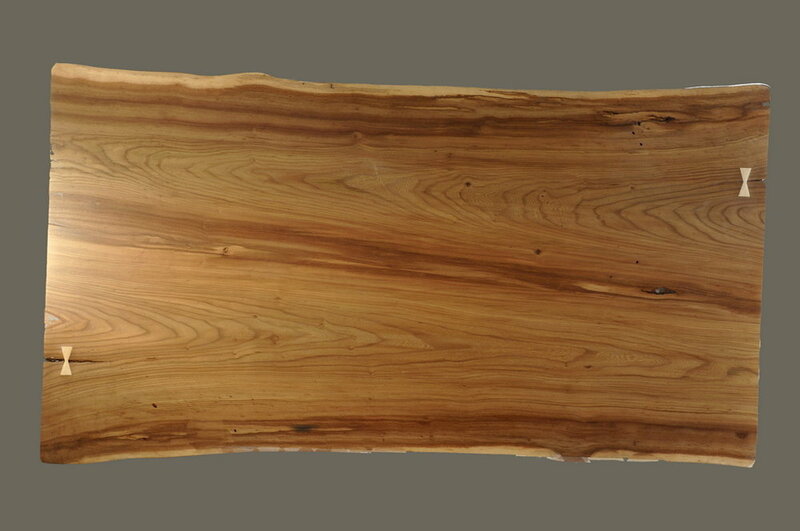 Explore a sampling of the live edge wood layout options available for Brooks Custom's live edge wood tops. We take the wood slabs from raw wood and arrange them according to your specifications.